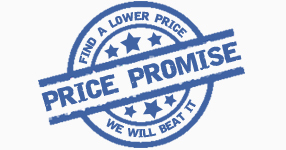 Our Price Promise Guarantee: We know that our prices are already the lowest around, however if you find that any of our local, independent, competitors are charging less on like for like frames or lenses then we promise to beat it. What’s best is that we still offer special deals all the time. To check out the latest ones just click here.